Gyms in Medford: Should I Do Small Group Training or Personal Training? 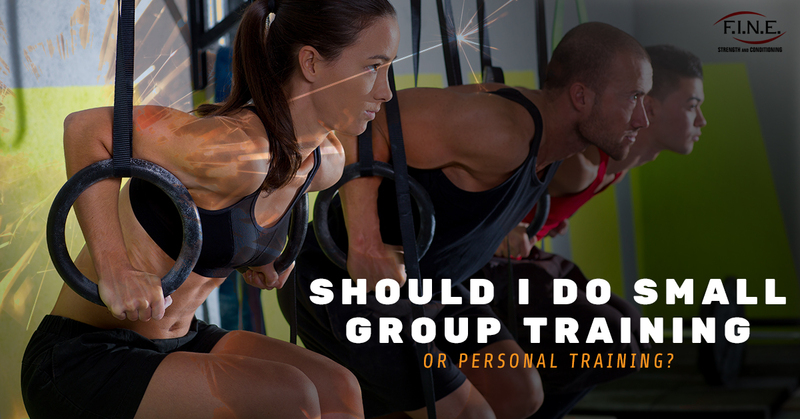 Should I Do Small Group Training or Personal Training? These days, there are so many different options to pursue when it comes to your fitness training when you have a gym membership. You can workout solo, take a workout class, or work with a personal trainer. When you work out alone, the advantages (and disadvantages) are pretty evident. You are able to work on your fitness on your own time, but you also don’t have the accountability and expertise of working with a trainer. The difference between what small group training and personal training offer you is a little less clear, and once you decide you want to start working with a trainer, you might be unsure of which would work best for you. There are a lot of ways you can benefit from small group training. It’s human nature to want to come together in community, and a workout is a great way to bond with others. As you push yourselves to overcome the obstacles, you feel closer, so you very well may leave our group exercise class with a new friend or two. In addition, small group training can be incredibly motivating, causing you to push yourself to your best performance. In a small group exercise class, the energy of everyone around you can be that push you need to do better. If you have a competitive side, group fitness might be perfect for you for this reason; if you’re looking to take your performance to the next level, simply strive to be the best performer in the room. If you are a people pleaser, group fitness might also be a great fit because it establishes accountability. You know that if you miss a workout, there is a whole group of people who will be disappointed by your absence. That accountability factor is key for staying invested in your commitment to come back again and again. 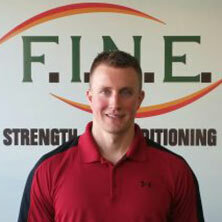 Many people find that they are capable of accomplishing much more than they imagined when in the group fitness setting. That being said, group fitness is not for everyone. Maybe you simply aren’t a people person. If you’re more introverted, the idea of a whole group of people to work out with might sound like a terrible way to spend time. Alternatively, maybe you have a very specific goal in mind. While our small group fitness classes are capped at 6 people, providing a more hands-on experience, if your goals require a more individualized approach, a personal trainer might be a better option for you. 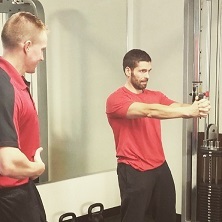 Working one-on-one with a trainer simply can’t be beaten in terms of customization. Maybe you are an athlete looking to improve your performance in your sport, or you have a lot of weight you want to lose. 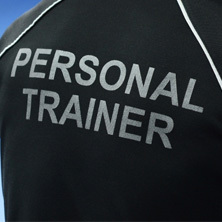 A personal trainer can tailor your fitness program specifically to ensure that you are hitting the milestones you desire. At the end of the day, whether you choose group or individual fitness training, you’re taking an important step towards your goals. 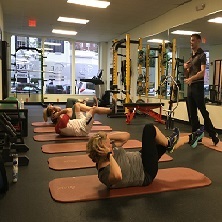 At Fit in New England, we offer both small group training and personal training in Medford, so you can take advantage of what both have to offer. Contact us today to get started with our gym in Medford!